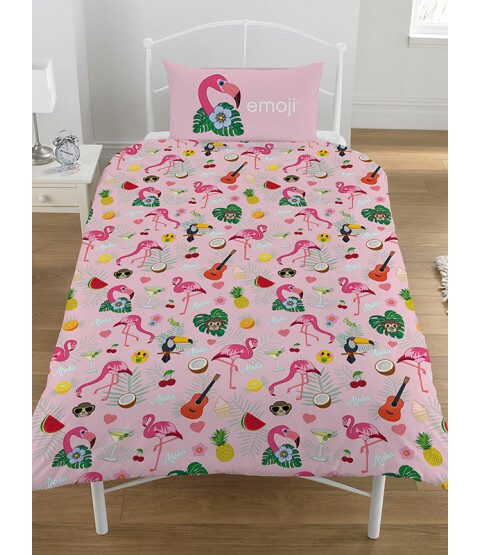 Say Aloha to this fun Emoji Flamingo themed single duvet cover set offers two fantastic designs for one great price! 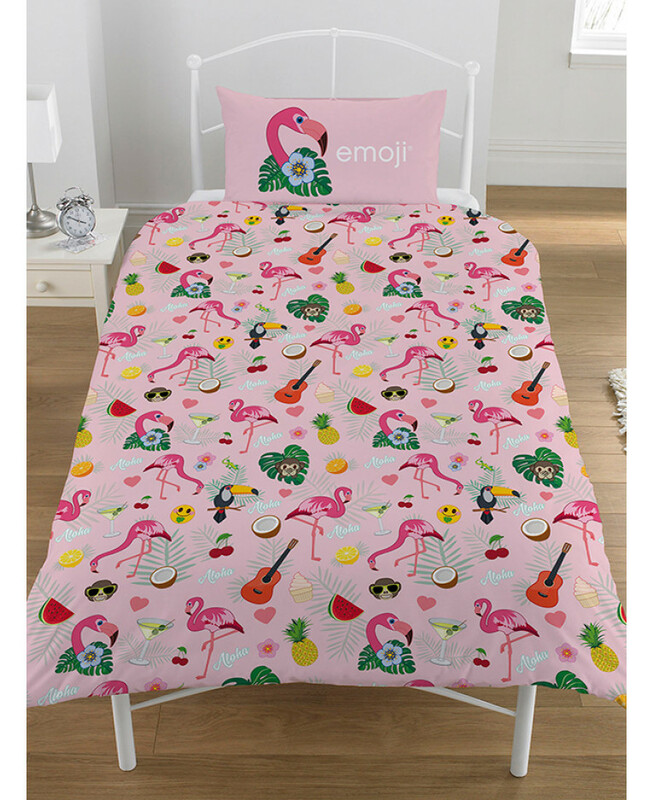 The first side features a repeated pattern made up of Flamingos with tropical themed Emojis such as the coconut, pineapple and flowers set on a pink background. The reverse features the same pattern but this time on a white background. 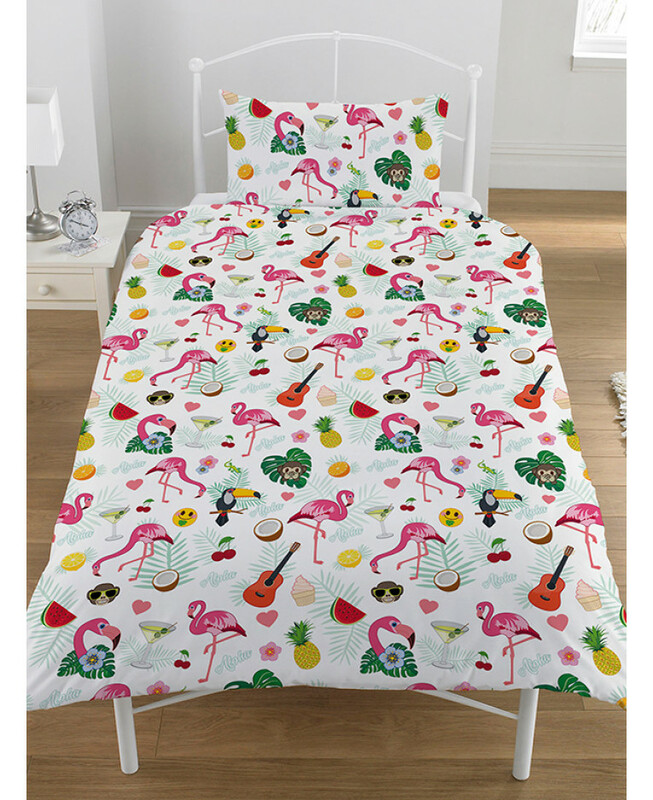 Made from a polycotton blend, this bedding set is machine washable and can be tumble dried on a low setting.